Our 5 Day Trail Bike riding Cairns is one of the ultimate action packed and loads of challenging, technical trails, fun and for more experienced riders. 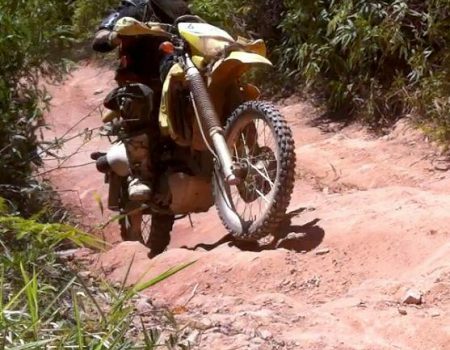 You will encounter every type of terrain on this historical adventure and experience trail bike riding the North Queensland Trail Bike Adventure way. Cost of the tour is $3400 all inclusive. We ride through the old logging trails of Black Mountain, lunch at Cooktown Crossing and then it’s on to the Palmer River Goldfields, Maytown, Laura, Lakefield National Park, Cooktown, Archer Point and many other fabulous areas. All riders must have a current motorcycle licence to take part and be experienced on dirt.